“Dollar Dollar Bills Yo!” Can you think of a better way to impress the ladies at the club and be the envy of all the guys, than to burn a $100 bill? I can’t. And I know because I did it once. Nothing turns heads like pulling out a $100 bill and then a bag of sweet Kush and rolling a fat joint. We will teach you how to be a MacDaddy in today’s 100 Dollar Bill Rolling Papers Review. Let’s face it guys, it ain’t easy out there these days. And getting a girl in the club is almost impossible no matter how good looking you are. If you don’t roll up in a Bentley or have a diamond-studded Rolex on your wrist the girls will not even look at you twice. I know because I am a good looking and nice guy. And I never ever have any luck in a club. Worse than that, I have to watch these slimy little grease balls with supermodels hanging all over them simply because they have money. Well, I have a solution my frustrated little monkeys. We need to fake it. So, the question is how do we do that? Well, the answer is on the cheap. And one great way is to look as though you have money. Go out and buy one sharp looking shirt. That’s all you need. Oh, and a cool pair of shoes that look expensive. Trust me, girls, really dig a guy in sharp shoes. Then get some $100 dollar Rolling Papers. After that, you simply let nature do the rest. It works. Empire is one of the very few companies that make designer and custom rolling papers. Although I did do a review for Luxe that you can read here https://420.reviews/louis-vuitton-rolling-papers-review/. They do brands like Louis Vuitton and Gucci. 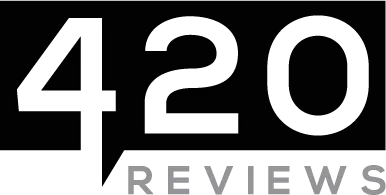 Or if you just want to be a straight up gangsta you can check out this review I did here https://420.reviews/urban-wraps-rolling-papers-review/ Either way, these papers are all about having fun. Quality is not really what this review is all about. But these are surprisingly high end. Empire manufactures these papers in Los Angeles, You can buy them online easily. They come 10 papers to a pack for a price of $54 dollars. So they’re not cheap. But, luxury never is, right? And if $54 dollars gets you the ladies, it’ll be the best investment you ever made. One nice extra is that they come with a hand blown glass tip for comfort and class. The papers are quality as it turns out. They use Italian silk for the paper and organic honey for the glue. That is pretty impressive. Anyway, I hope you enjoyed our elegant 100 Dollar Bill Rolling Papers Review. Well, that’s all you need to know boys, go out and have a legendary weekend. Oh, and you’re welcome. Summary "Dollar Dollar Bills Yo!" Can you think of a better way to impress the ladies at the club and be the envy of all the guys, than to burn a $100 bill? I can't. And I know because I did it once. Nothing turns heads like pulling out a $100 bill and then a bag of sweet Kush and rolling a fat joint. We will teach you how to be a MacDaddy in today's 100 Dollar Bill Rolling Papers Review. NextBlue Moonshine Review – Once in a blue moon !